Here is My Personal Choice Selection of Natural Cat Books available. It is always good to be able to lay your hands on a relevant book to look up something you need help with. And decent cat books also make a really good gift for any cat owner. Below you will find a selection of what I believe are the very best cat books, that are available to purchase safely online. Mostly they cover Natural Cat Care, although there are some cat training books as well. I love my books!!!! This book is my own personal favorite of all. My own copy has helped me through numerous problems and is extremely well worn! I believe it is a “must have” for anyone interested in natural cat care, or any animal. Just amazing! This book gives an incredible insight into health and disease, causes, effects and treatments. This is a powerful resource that you will open often. Don Hamilton pours his many years of veterinary practice and perceptive understanding of homeopathic principles into this book. His chapters on The Nature of Disease, The Nature of Cure and Vaccinations provoke many “light-bulb” enlightenments. Particularly recommended for people new to the whole “natural” idea. If you have no other cat books – you need this one first! Homeopathic Care for Cats and Dogs offers expert guidance on home care and diet, how to obtain the information needed to choose a homeopathic remedy, how to dose remedies, how to choose the potency, and when to repeat remedies if necessary. The book lists organ systems by chapter, providing concise descriptions of symptoms, including how to evaluate patients’ illnesses and when to seek veterinary care. Remedy and supplement suggestions follow disease descriptions. Each section contains the principal remedies needed for treatment. The book ends with a materia medica, which gives more comprehensive remedy information for each medicine listed in the book. This updated edition contains a new chapter on the human-animal relationship, timely information on vaccines, as well as new remedy information in every chapter. Anitra Frazier is an internationally recognized feline nutritionist, groomer and cat behaviorist. She has been a major pioneer in holistic health for cats. The Natural cat covers a wide range of subjects from grooming and desexing, to common feline health problems and care for older cats, to cat, behavioral issues. This is a fully revised and expanded guide to natural pet care. It provides valuable information on and updated guidelines for holistic cat care, grooming tips, dangers in the home, cat health issues and veterinary care, behavioral problems, and more. Dr. Pitcairn has enjoyed a long career in the veterinary field, and this book is one of the perennial favorites of naturally minded pet owners around the world. The Complete Guide to Natural Health for Dogs and Cats gives a holistic approach to treating the root cause of disease, rather than the symptoms. It is a very thorough guide to natural health care for your pets. It is brim full of useful information and practical tips. It is a handbook on the health care of dogs and cats. It discusses the nutritional value of commercial pet foods. And also recommends drug-free treatments for common diseases. One of the best cat books around! Natural Healing for Dogs and Cats covers nutrition, minerals, herbs, homeopathy, massage, acupuncture, acupressure along with flower essences and psychic healing for cats and dogs. This invaluable resource tells how to use nutrition, minerals, massage, herbs, homeopathy, acupuncture, acupressure, flower essences, and psychic healing for optimal health. Meticulously researched.Fully illustrated.Comprehensive guide to holistic healing methods.Extensive resource directory.Effective ways to reduce veterinary costs. Leans towards the “energetic plane” with sections on Reiki healing and Flower Essences. Possibly a bit too feministic and New Age for some people, otherwise a wealth of great cat health information. As a qualified animal psychologist, Martina Braun specializes in behavioral therapy for cats and dogs. In this great book she shares a wealth of info on how to quickly get your kitty behaving well. There is a method of learning to which no mammal is impervious – not even cats. It is called “classical conditioning,” and is used in a very specific way as part of clicker training. Every click results in something positive for the cat: a treat, a cuddle, a favorite game. Because cats are intelligent, they quickly understand what kind of behavior gets them a click and a reward, and they will experiment in order to find out what else might work. This manual explains what classical conditioning involves, why it works with every cat, how to avoid mistakes, and how to use rewards properly and develop chains and sequences of behavior, as well as small tricks. If you have never heard of Clicker Training, it is an easy, effective and extremely fun way to train any animal using positive reinforcement principles. It is what they use to train the dolphins etc. I have had great results over the years using clicker training to teach our pets good behavior and just fun tricks too. Not only for new kitten owners, but for owners of older cats too. Pam Johnson-Bennett is a popular Feline Behaviorist and award-winning author. … from selecting the best scratching post to avoiding any litter box troubles. Think Like A Cat is a valuable resource for cat owners everywhere. It will help you in understanding the inborn instincts that determines your cat’s behavior, both the positive and the negative. This book is an introduction and guide to the wide world of natural therapies, treatments, and foods available for cats. Veterinarians from around the USA input information and their opinions. In addition to teaching how to provide a healthy diet for your, these vets share information on alternative treatments including homeopathy, massage, acupuncture, chiropractic care and herbal medicine. You probably feel like you know everything about your cat and his needs, but chances are there’s a lot you aren’t aware of. For example, did you know that the food you feed him every day has nowhere near enough nutritional value, or that he may have chronic tooth decay? Have you ever been told that the essence of the flower holly can help him be less jealous, or that a massage can lessen his arthritis pains? Hi Kirsty, I just wanted to say that I love Don Hamilton’s book as well. I would recommend it to anyone at all, especially newbies to natural things for their pets. 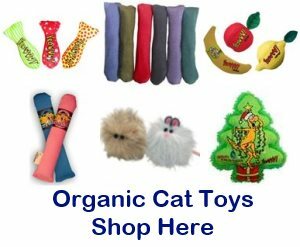 Your website is great, thank you for putting the time in to help make people more aware of natural cat care.